1. Historic districts and historic buildings listed on the national register of historic places recognize national, state and local architectural, historical, social and cultural values. Helena's historic districts reflect the area's identity to the community, provide a "sense of place" for residents and visitors, and provide recognition for the area (including an attraction for heritage tourism); provide a defined area to promote economic incentives (such as federal tax credits, the local tax abatement program and grants for building rehabilitation); represent a financial investment for property owners and protect property values; and promote tourism, as a benefit to the local economy, by protecting the area's significant historical values. 2. Helena's historic districts and historic buildings include a wealth of architectural variety; contribute to greater knowledge, awareness and understanding of the area's cultural development over time; and encourage the integration of historic preservation into the private, local, state and federal decision making process. 3. This chapter is consistent with Montana law (76-2-301 and 76-2-304), the goals and policies of the Helena comprehensive plan and joint city-county resolution number 10099 which promote the public health, safety and general welfare of the community. 1. 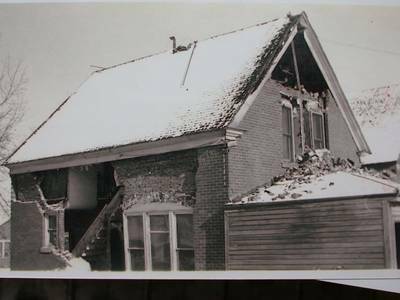 The purpose of the demolition permit review process is to protect and preserve the historical and archeological heritage of Helena, because the historic district designation is not permanent and the designation and related benefits can be lost forever if changes and alternatives are not carefully considered. CONTRIBUTING: Any structure or property so designated by the SHPO that contributes to the overall fabric of the historic district. DEMOLITION: Any act or process that destroys, in part or in whole, the historic integrity of a structure or site, including the exterior or facade of the structure, or otherwise alters the structure so that it no longer qualifies for primary or contributing status. HISTORIC: Any structure herein defined as contributing or primary, or any structure individually listed on the national register of historic places. HISTORIC DISTRICT: Any area so designated by SHPO. NATIONAL REGISTER OF HISTORIC PLACES (NATIONAL REGISTER): A list maintained by the national park service of properties such as buildings, structures, sites, districts and objects that are important in history, prehistory, architectural history, engineering history, archeology or culture. A. Legal description, property address and age of the structure. B. A written description and photographs that illustrate the structure. C. A brief description of the proposal and the reason demolition is requested. D. A brief description of the surrounding neighborhood and how the applicant proposes to protect the integrity of the historic district if demolition is proposed. A. For a property determined to be individually listed on the national register or a contributing or primary property, the historic preservation commission (HPC) shall conduct a legally advertised public hearing. B. At the public hearing the HPC shall review and evaluate the information provided for the application requirements, the architectural and/or historical significance of the structure, its relationship to the district and/or its relationship to a larger project, consider public testimony on the proposed demolition and any other relevant information. The HPC shall make a recommendation to the city commission for the approval or denial of the demolition application. A. If the city commission approves the issuance of the demolition permit, the city building department shall issue the permit immediately.